As part of the Spokane Public Schools bond, three new middle schools and three replacement schools would be built. This would allow for more room for sixth grade students in middle school. SPOKANE, Wash. — If voters pass a proposed bond, sixth graders in Spokane would move out of elementary schools and into middle school. This is already the case for one school. Sixth grade student Conner Bailey has attended Salk Middle School for almost two months. Orchestra is among his favorite classes in school. "In elementary school we really only had it for 45 minutes and we only had it like twice a week, but in middle school we have the entire week. It's my first period, so I have a lot more and we get a lot more practice," Bailey said. Unlike many of his friends across the school district, he was finished with elementary school after fifth grade. 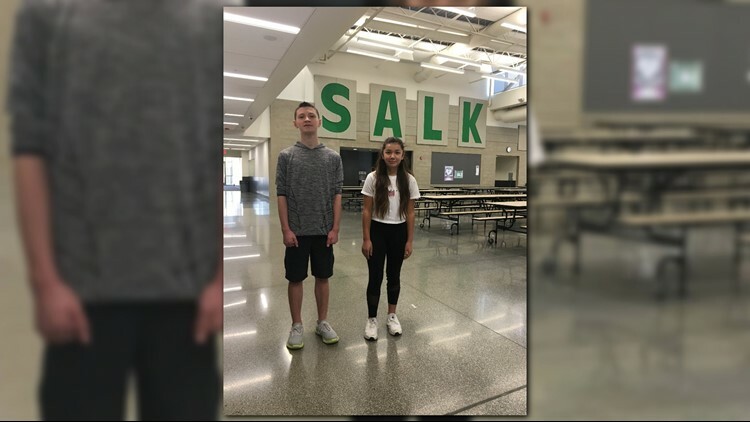 "My friend Maddox, he talks about how I am so lucky because I get to go to middle school before he does because he is still at elementary school in sixth grade," he said. "A lot of the students and their parents told us by the time they get to be sixth graders they are ready to move on from elementary school into another setting," said Brian Coddington, a spokesperson for Spokane Public Schools. "Moving the sixth graders out of the elementary schools and into the middle school frees up classroom space," Coddington said. Sophia Crone Johnson said she cannot imagine what life would be like if she were spending another year in elementary school. "I think it's really good because you get to adventure out into different classes and you get to make new friends that are actually older than you," Crone Johnson said. “You get to learn from the older people too, so it's not just your group of people in that one place." Change across the district would not happen overnight but over a six-year-cycle. If the bond passes in November, the district thinks more than two years in middle school will be helpful to students. “We think that three years gives them more time between transition, to get settled into school, feel more part of the community and really be comfortable in a school setting,” Coddington said. Coddington also said year one would focus on design of these middle schools, and public engagement and feedback from parents if the bond passes. The next step would be construction. When it comes time for sixth graders to move into the middle schools, this would be done in different sections.